Violinist and American fiddler Maggie O’Connor frequently performs with her husband Mark O’Connor, and she is also a member of the Grammy Award winning O’Connor Band. Maggie has appeared as guest soloist with the Singapore Chinese Orchestra, the Santa Rosa Symphony and many other symphony orchestras performing with her husband on his composition “Strings and Threads Suite”. The couple has performed violin duos around the world, including the Leopold Auer Music Academy in Hungary as well as the Berlin Konzerthaus centennial celebration of Yehudi Menuhin. In the O’Connor Band, Maggie performs on fiddle and vocals. The group’s first album “Coming Home” won the Grammy for Best Bluegrass Album of the Year at the 59th Grammy Awards, where the group also performed for the Pre-Telecast Ceremony. Along with performing, Maggie is also working as co-director at the O’Connor Method String Camp Charlotte featuring the O’Connor Method lesson book series that is rising in popularity each year. 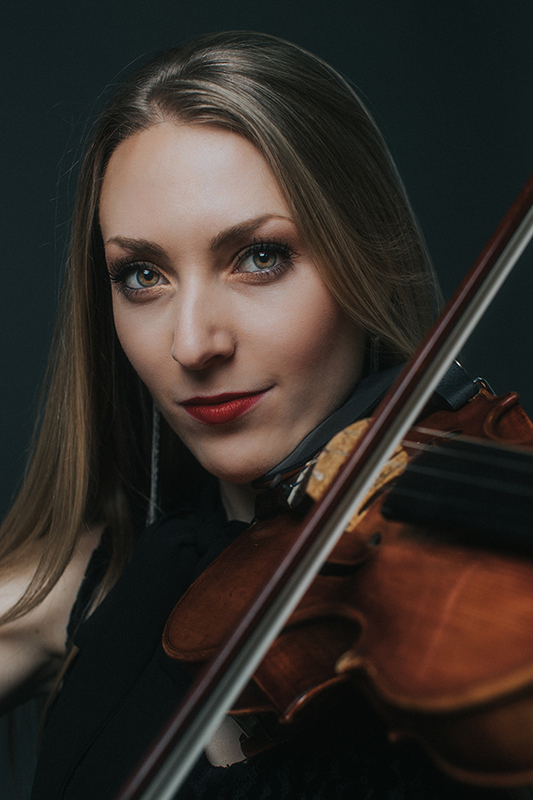 She is also featured on her and her husband’s album “Duo.” Maggie has Bachelors and Masters Degrees in Violin Performance from the Peabody Institute of the Johns Hopkins University. Maggie also makes violin peg necklaces to provide scholarships for students at O’Connor Method String Camps.